There are numerous adjustable beds in the market; however, the number of wall hugger adjustable beds are very few. Wall hugging and pillow tilting needs sophisticated design which only premium and reputed brands like Leggett and Platt and Reverie can offer. 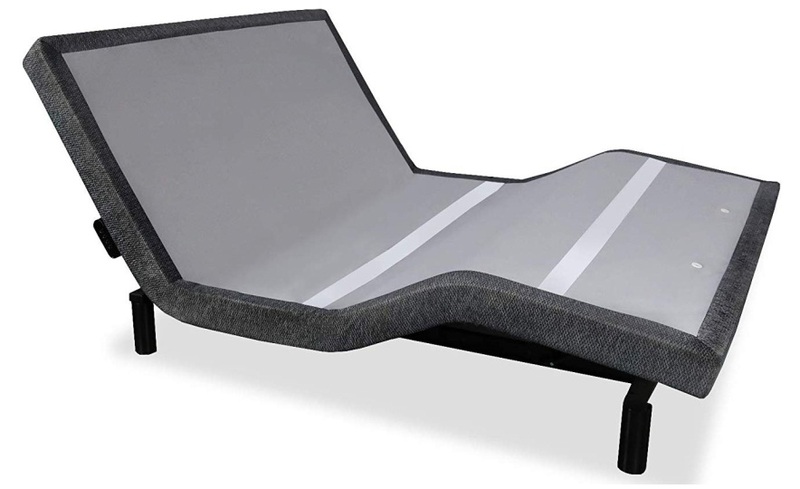 Off late, couple of adjustable beds in low and mid-range price category have caught everyone's attention. Classic Brands and iDealBed iEscape are offering wall hugging feature but at nearly half or even less than half the price of premium high-end adjustable beds. 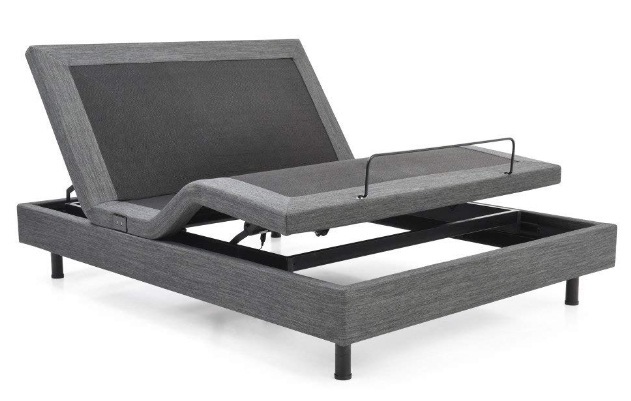 Classic Brands apparently is one adjustable bed that has been in the market from the very beginning yet successfully competing with even today’s latest brands. It keeps selling in big numbers even today, thanks to its impeccable customer satisfaction record. The company now has launched a new version calling it Classic Brands Comfort Posture+ that offers wall hugging feature. However, the company has kept the price to a minimum making sure it still falls under affordable adjustable beds category. Feature wise too it has all the essentials including dual massage functionality, 2 USB ports and wireless remote. iDealBed is the first brand that redefined mid-range adjustable beds category by offering several advanced features yet at a reasonable price. The brand has come a long way since it was first launched and now offers a plethora of features. In fact, it has launched a new version, iDealBed iEscape, that comes with both wall hugging and NanoHook mattress retention system. Apart from the above, it is perhaps the only bed that comes with as many as 8 USB ports, 4 on each side. And these too are high speed charging USB C ports. It also offers emergency power backup and LED powered flash light on remote and LED under the bed lighting system. Till date, Prodigy 2.0 is apparently the only adjustable bed that offers perfect wall hugging feature along with pillow tilting. S-Cape also offers similar wall hugging but does not include pillow tilting. Reverie 9T, the latest and most advanced adjustable bed on the market today comes with wall hugging feature. When head tilting is done to desired angle, the head section of any adjustable bed moves away from the wall. That’s the most common scenario. However, wall hugging adjustable bed has rails like set-up on its horizontal frame. Hence, when the head section is lifted, simultaneously the middle section of the adjustable bed moves towards the wall and keeps the head section right next to the wall. That’s wall hugging. This feature needs exquisite design which Leggett and Platt has incorporated in its Prodigy 2.0 and S-Cape models. The below image illustrates the difference between Prodigy 2.0 with wall hugging feature and Reverie 8Q without wall hugging feature. Why wall hugging is an important feature? Mobile, laptop, chargers, books, medicines or water bottle, we place all these belongings on our bedside table. However, when you adjust the head section to desired angle and the bed itself moves forward and away from the wall, the bedside table gets behind you. And when you need any of your belongings you have to turn and stretch your arms backwards. But if you are working on your laptop while seated on the bed or if you are having your food/snacks and want to reach out to your water bottle. It’s really difficult as you have to be very careful so as to avoid spilling your food on the bed or on yourself while turning sideways/backwards. Much worse shall be the situation for elderly people or people with back pain issues who really can’t turn sideways or backwards. To avoid such painful scenarios, it is always advised to choose wall hugging adjustable beds. Apart from head and feet articulation, pillow tilting is the third level of articulation. However, this is available only with select high-end adjustable beds like Prodigy 2.0 and Reverie 8Q. Basically, any adjustable bed is divided into three sections. Whereas, in Prodigy 2.0 and Reverie 8q, the head section is further divided into two portions. In pillow tilting adjustable beds, the pillow portion can also be fine tuned to desired angle. 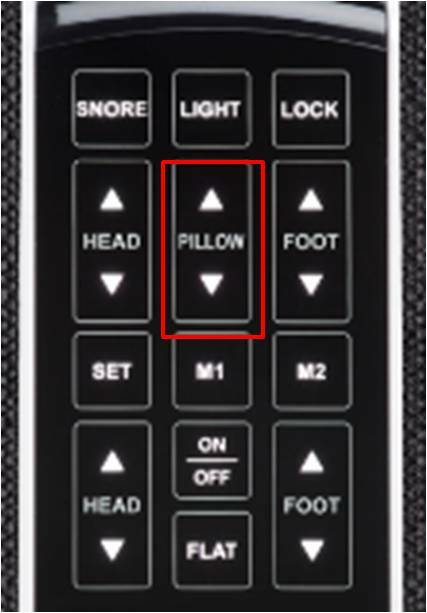 Prodigy 2.0 has dedicated buttons on its remote control to adjust the pillow tilting to desired angle. This is very similar to head and feet section adjustment. But the case with pillow tilting in Reverie 8Q is quite different. It does not have dedicated buttons like Prodigy 2.0. While head section is adjusted to desired angle, the pillow portion also tilts simultaneously. Although, Reverie 9T does not include pillow tilting or its wall hugging is not as perfect as Prodigy 2.0 but it comes with an innovative feature, lumbar adjustment, which is the most advanced and not to be found in other adjustable beds. Most people who are required to be seated for long hours or who drive long distances regularly suffer from lower back pain issues. This is a common issue with most of us. But this pain is sometimes quite acute and only ergonomic office chairs are the solution to avoid such pain. Reason being, these ergonomic office chairs come with lumbar support. But for the first time in adjustable beds segment, Reverie has included this lumbar support which is, in fact, an out of the box feature. Many among us have the habit of working from bed sitting or sleeping in a slanted position. This is really the most improper posture and can hurt our back very badly in the long run. But Reverie 9T has included lumbar support wherein there are dedicated buttons on its remote control to adjust the lumbar support as per our seating or sleeping position in the bed. 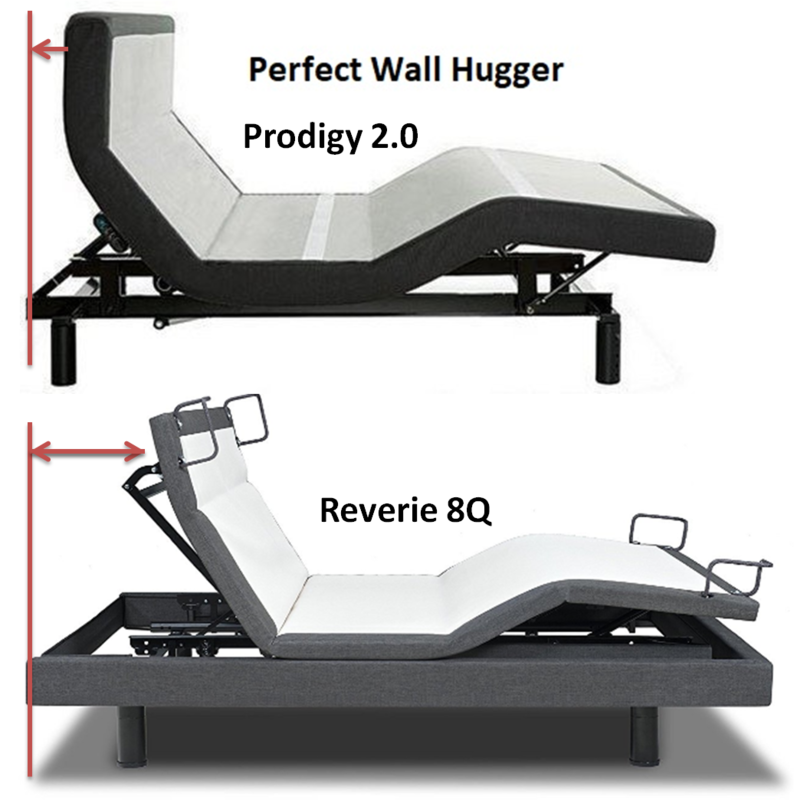 Wall Hugger: Even though, Reverie 9T is a wall hugger and most advanced plus feature-wise superior to Prodigy 2.0 on few parameters but it does not include pillow tilting. And Reverie 9T is a wall hugger technically speaking but it is not as perfect as Prodigy 2.0. 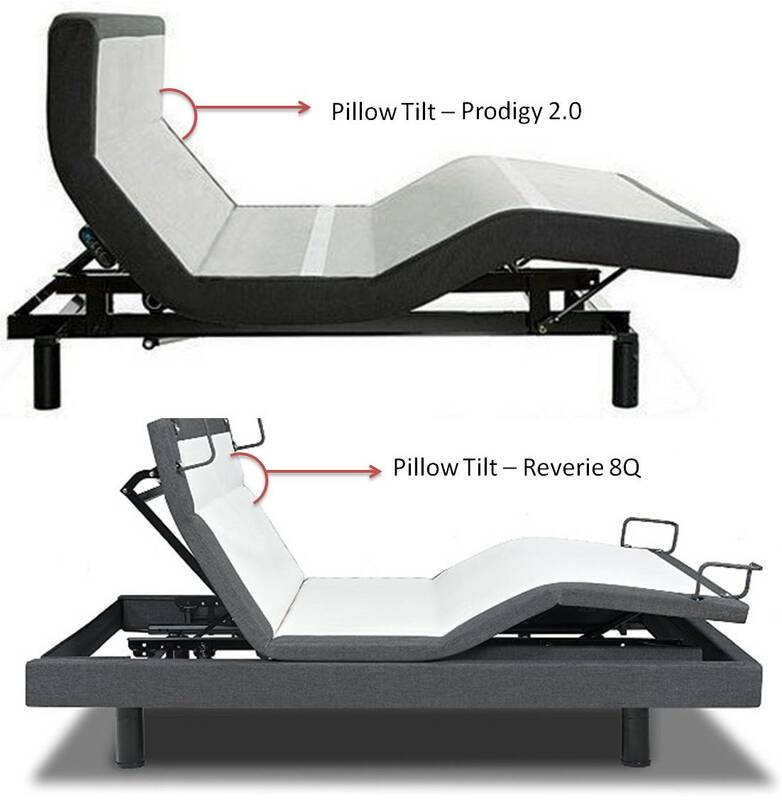 Pillow Tilting: On the other hand, Reverie 8Q with pillow tilting is also a high-end adjustable bed but falls behind Prodigy 2.0 on few features and does not offer wall hugging. Moreover, Reverie 8Q does not have dedicated buttons on its remote control for pillow tilting like in Prodigy 2.0. Verdict: Finally, Prodigy 2.0 from Leggett & Platt is the only bed that comes with both wall hugging and pillow tilting. It is a perfect wall hugger and also has dedicated buttons for pillow tilting.